The first preseason home game against the Temple City Rams resulted in a loss for the junior varsity girls volleyball team. With a rough first set, the Matadors lost 4-25. However, they fought aggressively in the second match, causing the teams to play point-by-point. After losing the first set, the girls were at a disadvantage. Only two sets were left and the third was out of 15 points. The crowd roared as passer sophomore Kimberly Yip received a hit by Temple City. With a strong pass, setter sophomore Tiffany Thai proceeded to smoothly set the ball for a kill. 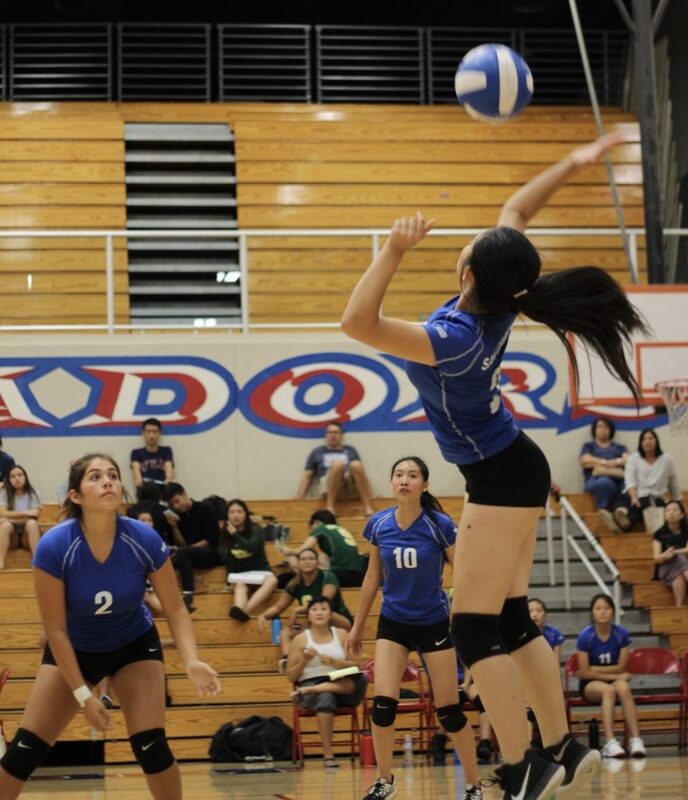 Outside hitter sophomore Kaya Luong smacked the ball down between opposing players, effectively earning the point. Due to the back-and-forth nature of the game, the second match lasted longer than the normal 25-point game. 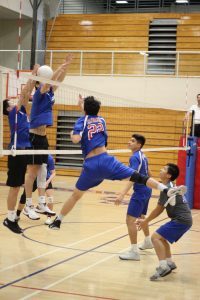 From passes delivered by backrow players to Thai, middle and outside hitters angled the ball between Temple City’s team. Hits were blocked by the Rams, but they were saved and brought back into play. In the second set, the girls defeated the Rams 27-25. The final set of the game was the last chance for either the Matadors or the Rams to win. Despite the comeback of SGHS during the second set, Temple City seemed to strive for victory. With perfectly placed tips and hits, the Rams pulled ahead of the Matadors, resulting in a 6-15 loss for. Claudia Choi, the new coach, was surprised by the outcome of the first set and how the team could not put their “game face” on. Junior Abby Martinez said that the emotional support of the team is critical. 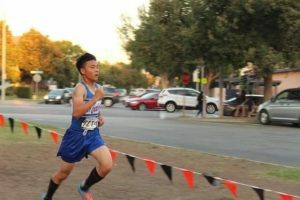 After the Matadors’ loss, the team is determined to win home games against Mark Keppel on Sept. 20 and Montebello on Sept. 25. Sophomore Shana Chan (21) leaps up to strike a winning point against Temple City on Sept. 5 as Zoey Gonzalez (2) and Tiffany Thai prepare to cover her from the side.